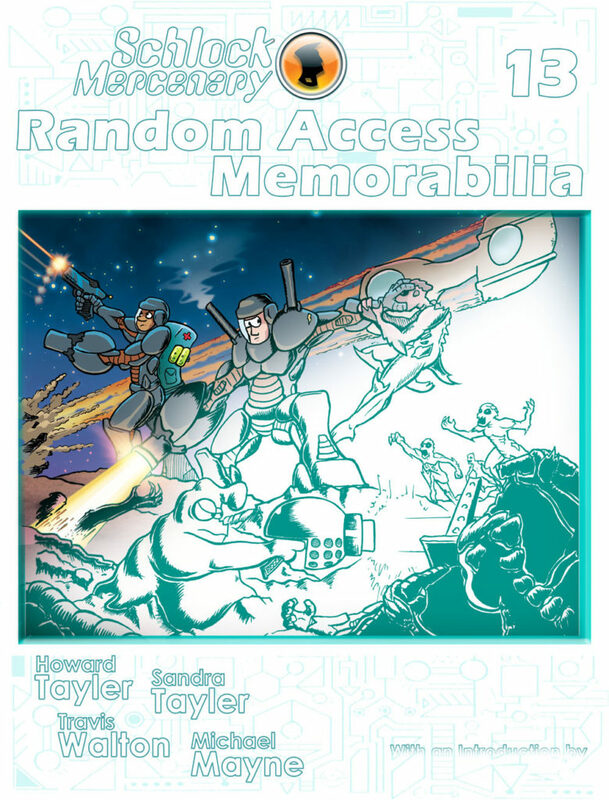 The Random Access Memorabilia Kickstarter closes on Friday, October 13th. As of this writing there are about 200 sketch editions left, and we’ve cleared all but one of our stretch goals. We’re doing the final layout work now, and the book is looking SO NICE. You can expect an updated cover reveal on Monday or Tuesday of next week. We’re also designing the Bristlecone ship coin, per the stretch goal which we cleared early this week. We’ll reveal that design soon, but it’s not quite ready. Do you want Schlock Mercenary t-shirts? Consider buying a book! This may sound a bit counter-intuitive, but in order to make the right shirts, in order to make really nice ones, we need to spend some money up front. We need to do R&D. If the Random Access Memorabilia Kickstarter reaches its next stretch goal, we will spend a portion of this project’s proceeds (probably between $1,000 and $5,000) developing and prototyping t-shirts. We will then Kickstart a proper t-shirt project in February of 2018. This is the final week of the Random Access Memorabilia Kickstarter. We know there are a lot of demands on your discretionary income right now, and we’re very grateful for those portions of it you choose to spend with us.